Some time ago, I blogged about using a date calculation dimension in a multidimensional cube, and how easy it makes doing time intelligence in a multidimensional model. 2014 seems to have started out as “the year of Power Pivot”, as it is definitely gaining traction with my clients and more and more of them are asking about it during engagements. 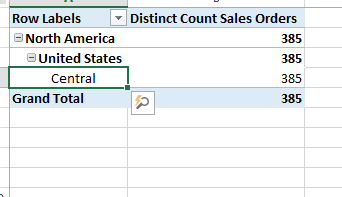 One of the absolutely amazing things I get absolutely giddy about in Power Pivot is the concept of disconnected slicers. 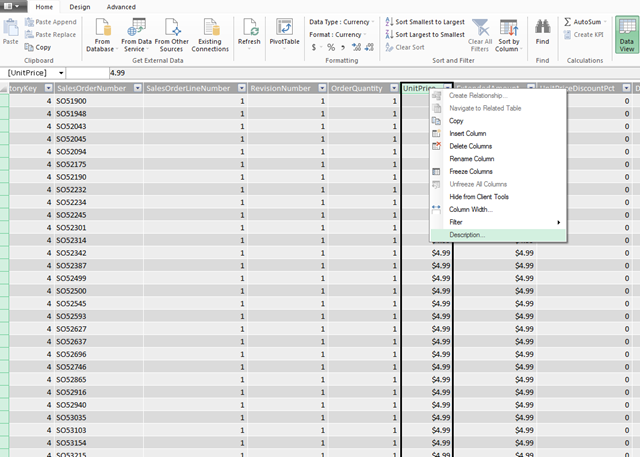 As Rob Collie best said, disconnected slicers in Power Pivot are pure magic. I particularly enjoy the “mad scientist” reference he makes. For those unfamiliar, a disconnected slicer is a piece of data that has absolutely nothing to relate to in your data, but you want to use it as a part of your analysis. For a great introduction, see Rob’s Power Pivot pro blog about it as an introduction. 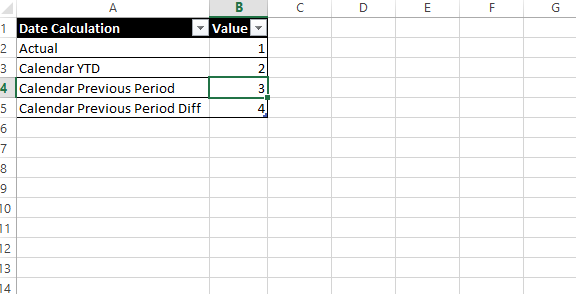 I was recently showing a client this mad scientist level stuff, but then took the natural progression and thought: “If I can do this to control the number of months back, can I take it a step further and create a date calculation dimension like in multidimensional too?” What, that wasn’t the first thing you thought too? In the preceding formula, we’re taking the min value of the value column of the date calculation dimension. 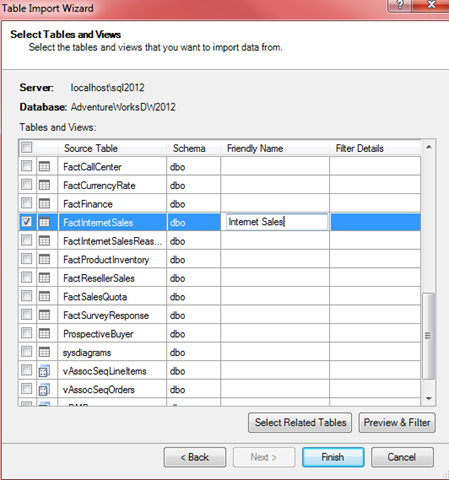 This allows us to then select the current active context inside of our pivot table. 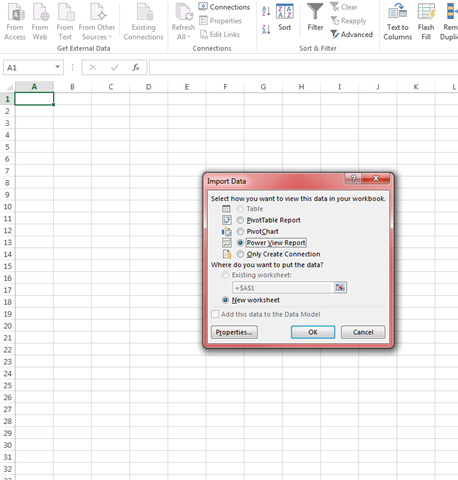 In the below image, I’m selecting the measure value from disconnected slicer table I created, and the Date Calculation selected measure from my fact table. Oh. My. God. That is so AWESOME!!!! Even more amazing, we could even take our date calculation table and put it in a slicer above, freeing the columns section of the pivot for something else to make this even more flexible and put in on a dashboard. This way, we can actually have the MEASURES in a slicer! That is some serious awesome-sauce! The complete workbook is available for download here. We can see that the data itself joins over to the date dimension fine, but we can’t join to the rates table as we are trying to go between. What we can do, however, is modify the data table to return the value of the parameter table, in a denormalized pattern. By utilizing the calculate command with a filter, we can get a list of that value repeated through our entire fact table. Which gives me the following screenshot. 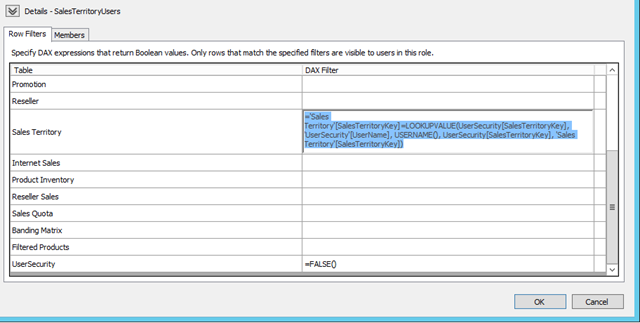 A very handy way to get around the parameter issue in DAX is to use an excel workbook and link the Power Pivot or Tabular model to that in order to allow users to change “run-time” values, although it does require the Power Pivot model to be refreshed. This workbook can be downloaded here. 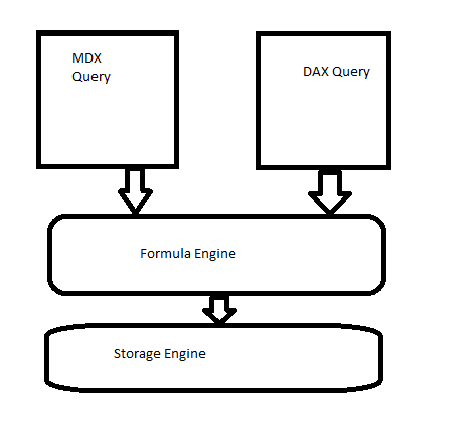 Just like in multidimensional, the formula engine takes the request, determines the optimal query plan, and then answers the query or requests the data that it needs from the storage engine. The storage engine runs against the data that the xVelocity engine stores in the cache. However, to me, 1 major question has bugged me about this from the beginning. In the case of a restart, or memory clearing of some way, how does the tabular model store it’s relationships between everything. 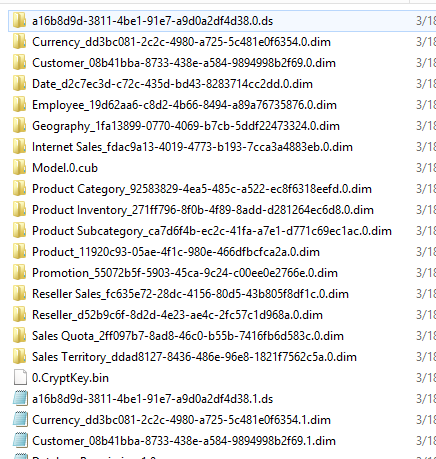 The data itself may be stored in memory, but the relationships and the structure surely must have some reference files on disk that xVelocity and Tabular can use. Today while working and playing with it tonight, I think I’ve figured it out. 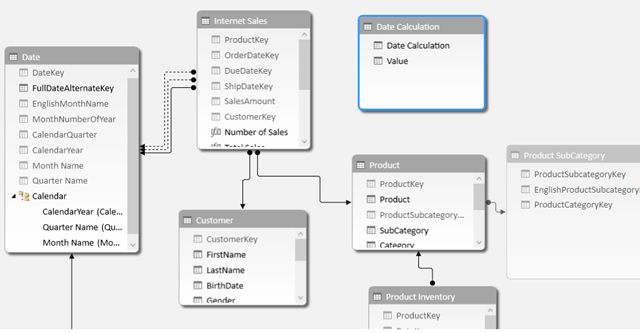 Min and max segment and data id’s are things that the storage engine uses during query time to identify what data exists in the proper segment and data file. This is quite useful information! I’ll have to remember this for the future and when it comes to performance tuning tabular models. SSAS has long performed deployment and processing as two very separate occurrences, that happen independently of each other. 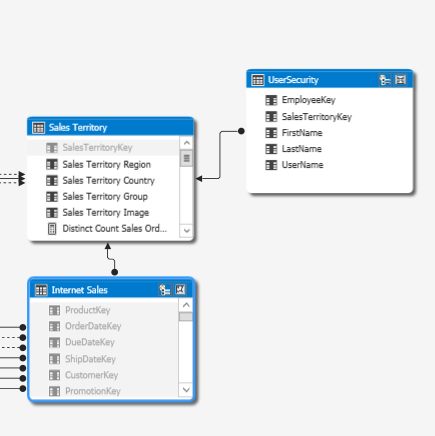 However, in tabular databases, there is a property that allows you to override this default behavior and tell SSAS to treat them as one process together. 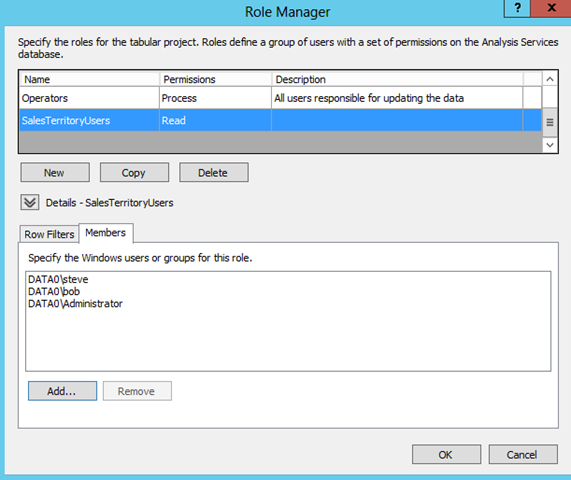 For developers, this is great news, as we can now tell SSAS to roll back the deployment if processing fails. The default behavior, with transactional deployment set to false, is that deployment can succeed before a process. 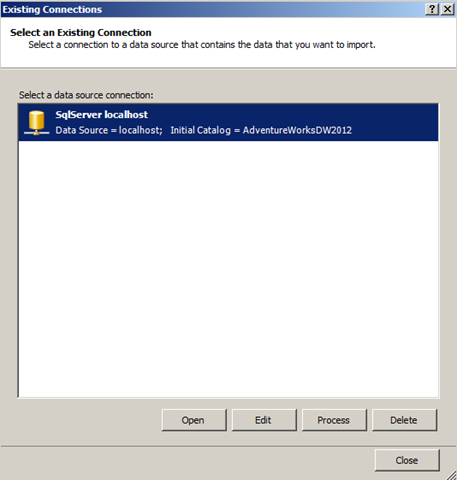 What this means is that if you deploy a project successfully, but the processing then fails, you are left with an SSAS project that is unable to be browsed by any users until you can re-successfully process again. To turn on this feature, right click on the project, and change the Transactional Deployment property from false to true. This option exists in both multidimensional and tabular solutions. 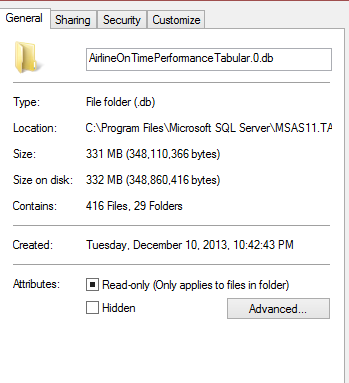 So the result of the above gives me 636 mb, which equates to 0.62 GB. I now know that I need to have at least 0.62 GB of RAM available to even load the model. This is the initial estimate, but how can I find the actual after I’ve created this. I’ve estimated 0.62, but is it accurate? 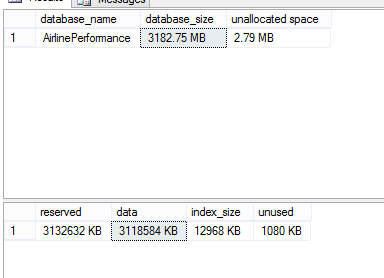 So to handle a 3 GB source database, I need 664 MB of memory to handle it on an actual production server. 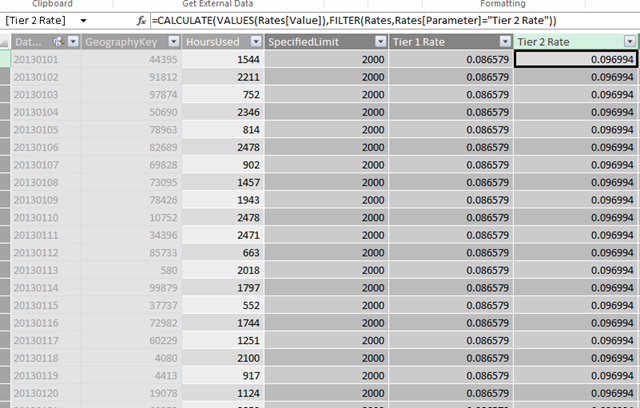 As it is very hard to predict one blanket answer for everyone due to varying granularity, industires, data models, and data types, hopefully this will help other developers come up with decent size recommendations for your networking guys when you’re trying to get an idea of how much memory you need for your tabular database. 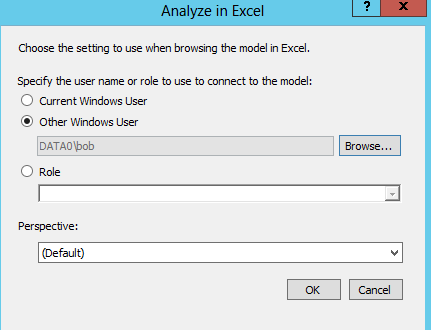 In Excel 2013, did you know that you can make descriptions available to users as they’re browsing the model in Power View? I recently discovered this, and thought it was a really nice feature that you can use to add some extensibility to your Power View reports. In this blog post, I’d like to walk through and show how easy it is to get this set up for use in your environment. Now that it is loaded, find the UnitPrice column and right click on it. Look for the Description field. Select it, and the Description dialog window will appear. Type in “The price per unit that was charged.” and click OK. That’s it! Now let’s see it in action. 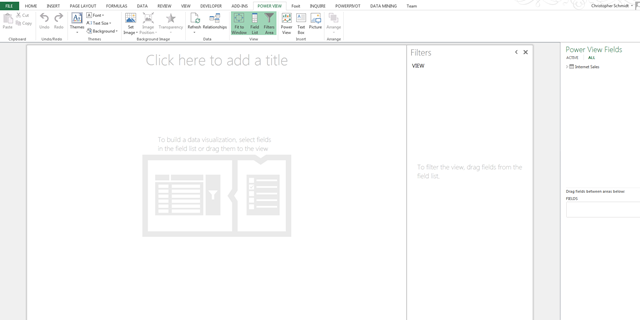 Switch back over to excel view, and insert a Power View sheet. Expand the Internet Sales table, and hover over the Unit Price column that you added the description to. Your description now shows as a tooltip for report users to navigate and get additional information around. What’s even better, is this works exactly the same way in a tabular database when you’re building it. 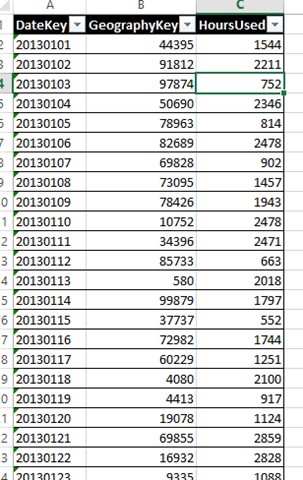 To demonstrate, open up the Adventure Works tabular database in 2012, and find the Internet Sales table again. Find the Unit Price column, right click and go to description. 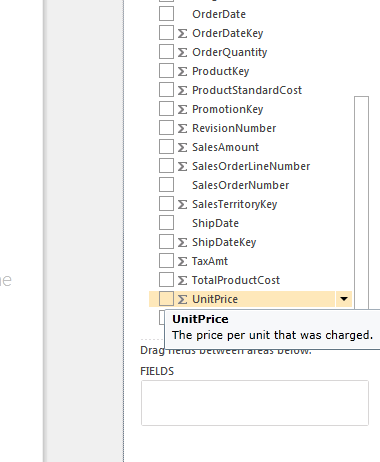 In description, type in “The price per unit that was charged.” and click OK. Then build and deploy your solution. 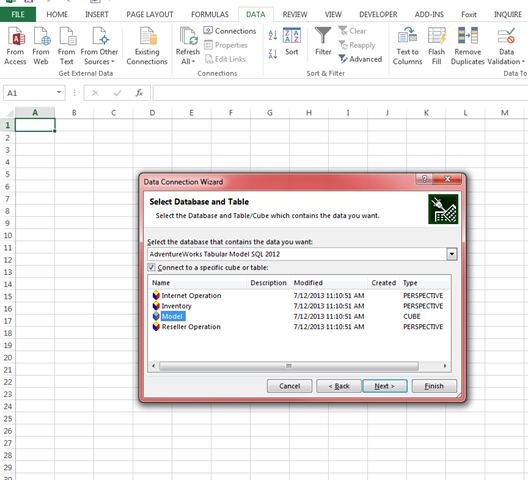 After it finishes deploying, open up Excel and connect to your tabular database. 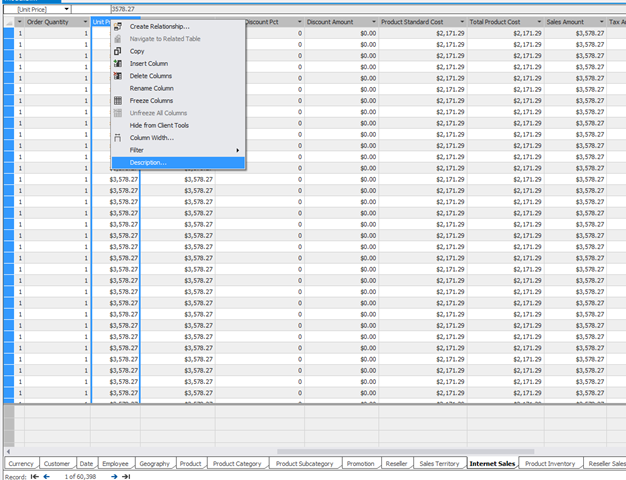 After you click Finish, select Power View report under the Import Data dialog box and click Ok.
After your Power View sheet, open up the table list and find the Unit Price column again. Notice that your description can be implemented as a tooltip this way too. That’s all for now! Short blog post, but very useful! 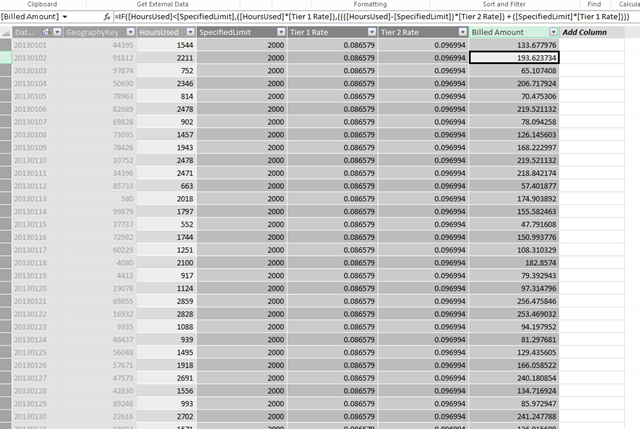 Then let’s input some values into it. 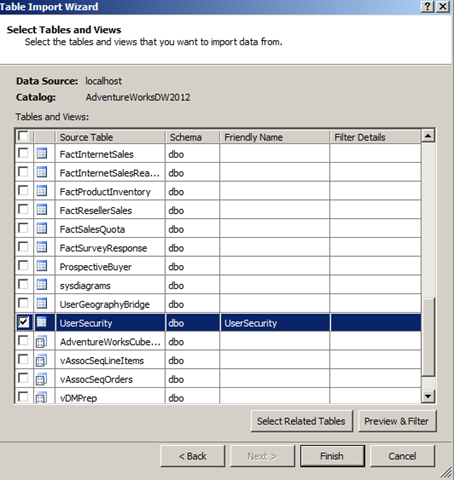 Then select the user security table that we created in Management studio and click Finish.